The symposion was a key cultural phenomenon in ancient Greece. This book investigates its place in ancient Greek society and thought by exploring the rhetorical dynamics of its representations in literature and art. Across genres, individual Greeks constructed visions of the party and its performances that offered persuasive understandings of the event and its participants. Sympotic representations thus communicated ideas which, set within broader cultural conversations, could possess a discursive edge. Hence, at the symposion, sympotic styles and identities might be promoted, critiqued and challenged. In the public imagination, the ethics of Greeks and foreigners might be interrogated and political attitudes intimated. Symposia might be suborned into historical narratives about struggles for power. And for philosophers, writing a Symposium was itself a rhetorical act. 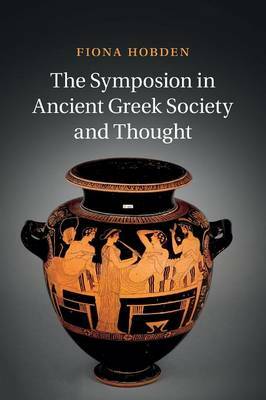 Investigating the symposion's discursive potential enhances understanding of how the Greeks experienced and conceptualized the symposion and demonstrates its contribution to the Greek thought world.